It’s winter in Paris, but that’s no reason to stay inside! 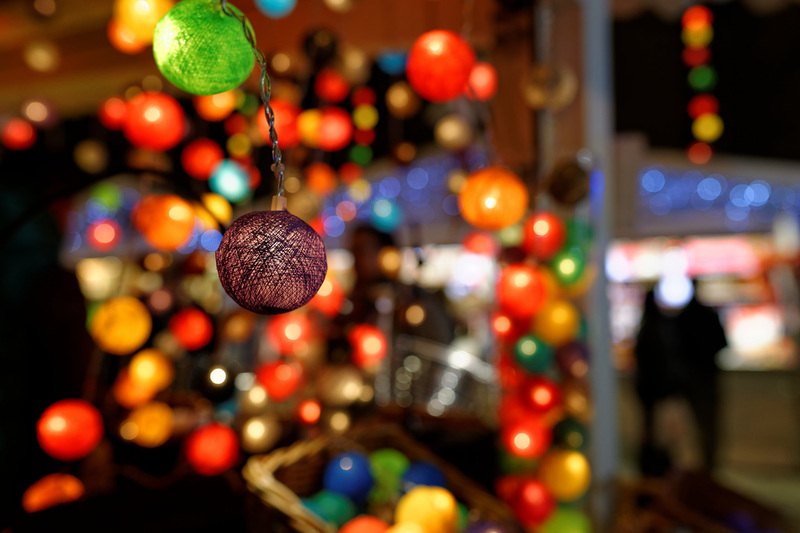 Throw on your coat and head out into the crisp December air, as The Culture Trip shows you the most magical Marchés de Noël the City of (Christmas) Lights has to offer. 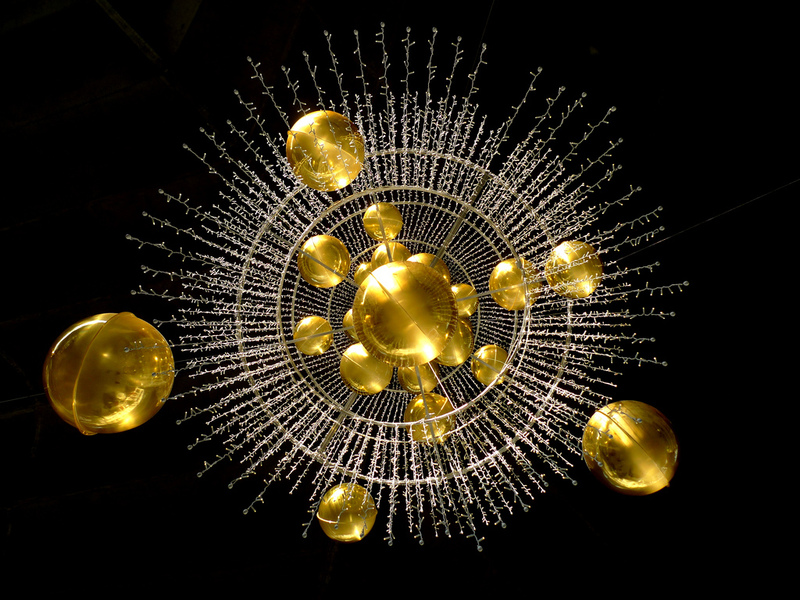 Big, central, sparkling — the Champs Elysées Christmas market is huge. More than 200 wooden houses are filled to the brim with regional specialities, decorations, and Paris souvenirs. 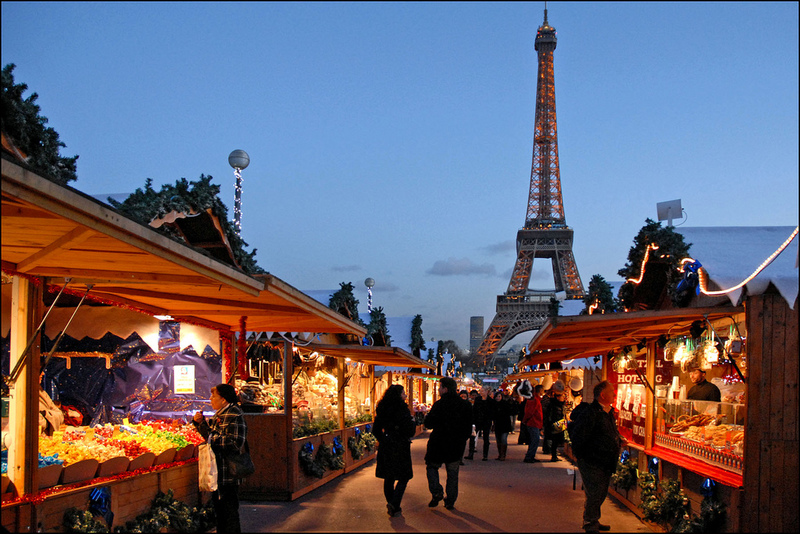 This market stretches up the iconic Champs Elysées, from the Ferris wheel in Concorde Square up to the Arc de Triomphe. Come at night for the unforgettable views of the glittering lights. The biggest in Ile-de-France, the Christmas village at La Défense is full of seasonal decoration and craft over its 10,000 square meters. This is where Parisians go for their Christmas market trinkets. Kids (and adults) will have the time of their lives at the ice skating rink. Nestled next door to Notre Dame at Square Viviani, this lovely market brings together more than 40 designers, craftspeople, sculptors, and performers. Every year, an enormous decorated tree is set in front of the Cathedral, making for perfect Christmas cards. Speaking of trees, the garden in Square Viviani has a tree that has been standing for over 400 years! This market specializes in delicacies brought over from the German-influenced Alsace region. This means that this is your perfect chance to try their bretzels (pretzels), pains d’épices (spiced bread), charcuterie, sauerkraut, mountain cheeses, white wines and eau-de-vie, gingerbread, and more! What other reasons are you looking for!? 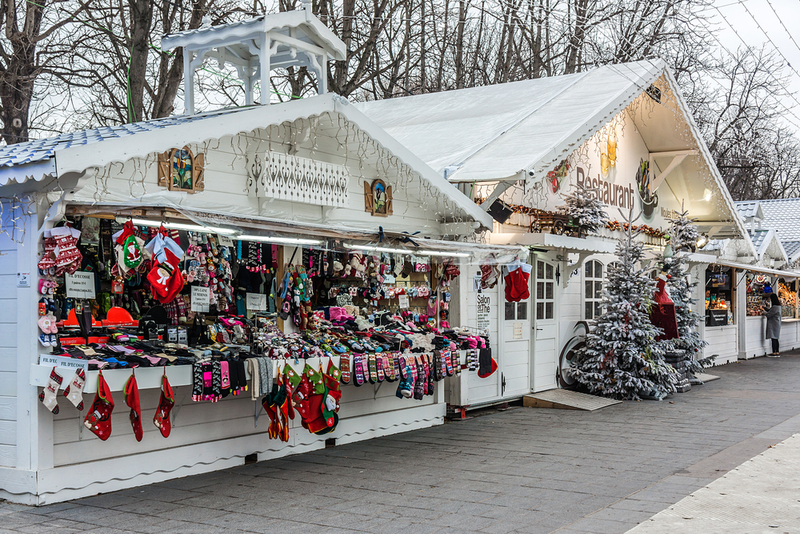 In the middle of the city, in the middle of the Christmas season, at the foot of the Montparnasse tower… This is one of the best-known (but off the tourist path) Christmas markets in Paris. After you’re done with the market, wander over to Edgar Quinet and explore the Breton neighborhood and its delightful crêperies.